You want to drive a Maserati because you demand a superior experience. Every Maserati vehicle offers the highest echelon of luxury, style, and thrilling performance, and for you, nothing less will suffice. But while you expect all of this unrivaled excellence, you also want it at a competitive price. That’s where Maserati of Tampa comes in, where you’ll find the lowest new and used Maserati lease and financing specials in Tampa. And those are just our new Maserati specials. If you’re looking for a used Maserati, we have an ever-changing selection of pre-owned options offered at the most competitive rate in the region. Half the fun in driving a Maserati is in the shopping process. 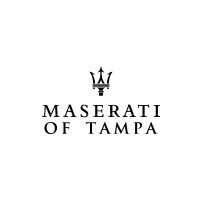 At Maserati of Tampa, we offer the largest selection of new and pre-owned Maserati vehicles in the region. Every model, in every trim, from a range of years. In the end, it’s all about satisfaction. Combine our leading selection, convenience, and specials, throw in our friendly, expert service, and you have a shopping experience that provides total satisfaction you won’t find anywhere else. And why would you settle for anything less than total satisfaction? Check out our unrivaled new and used Maserati selection online, or call Maserati of Tampa at (813) 375-3660 today.